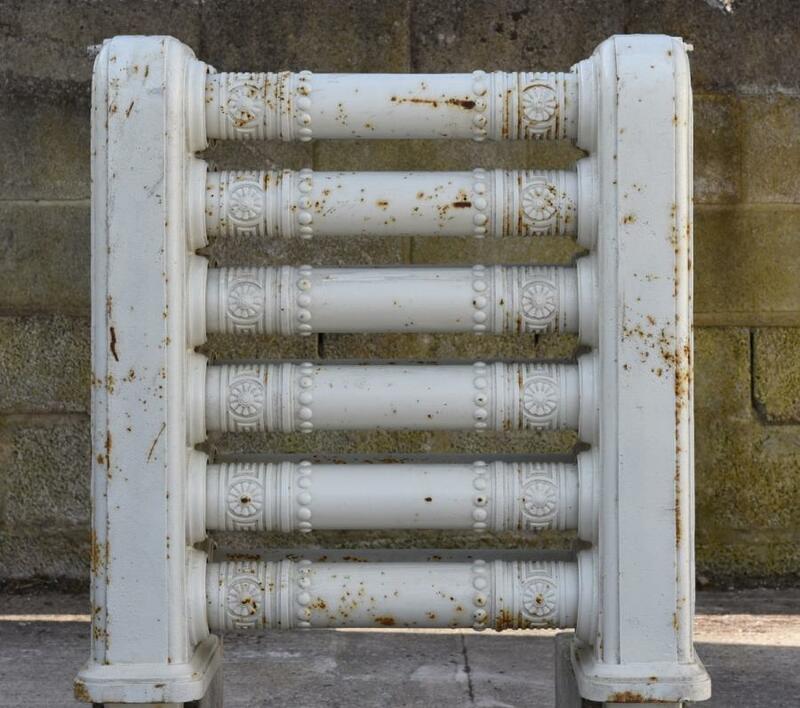 A rare sized and styled antique cast iron 'showjumping' radiator from the 19th century with moulded panel and beaded decoration to the end stands and double deep horizontal pipes. 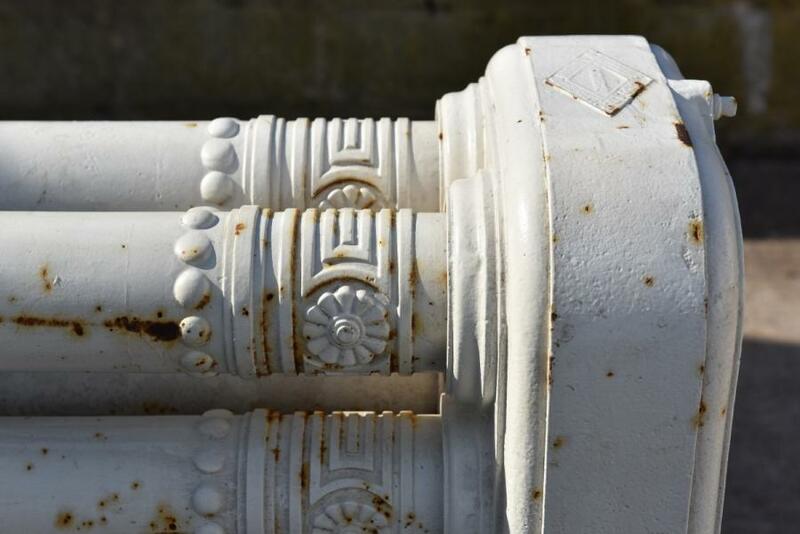 Lozenge shaped makers mark imprinted to the top of each stand reading in capitals; 'Musgrave & Co. LD. Manchester London & Belfast' Also there is a cast plaque screwed to one side with a registered design number on; Rd.101613 which relates to approx mid 1888. Pressure tested and ready for re painting. 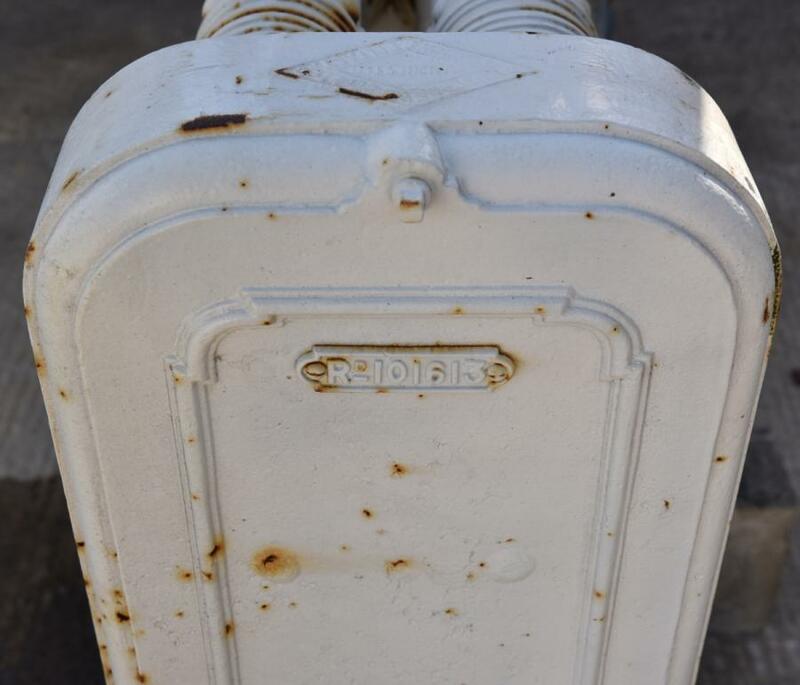 Please note the in and outlets are located on the front of extensions below the base of the main radiator. These are original. 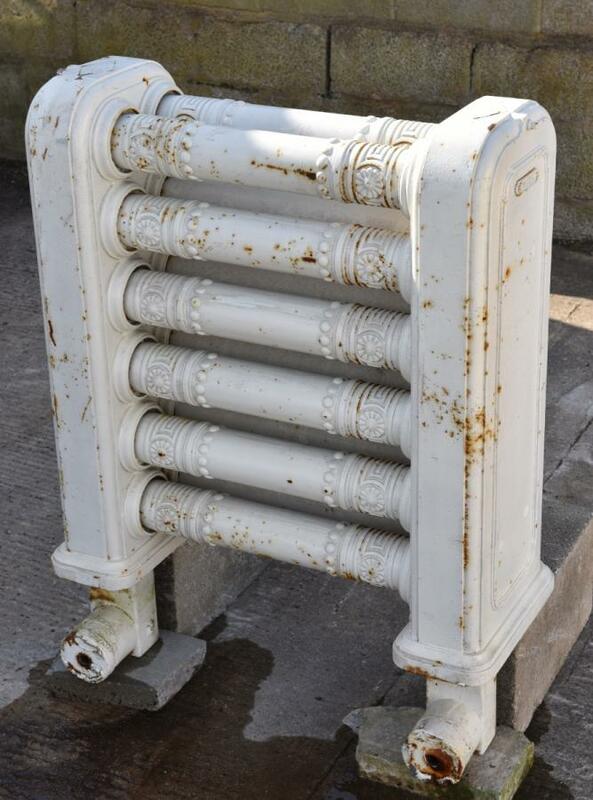 These could either sit below floor level or above if the radiator was raised up on a plinth. Dimensions in inches(cms); 11.75(30) deep at top. 13(33) deep at the base 30.75(78) max width. 32(81.5) high not including the extensions which are 7(18) high. Please see blog ( via News tab on Haes website ) for larger/more pictures.